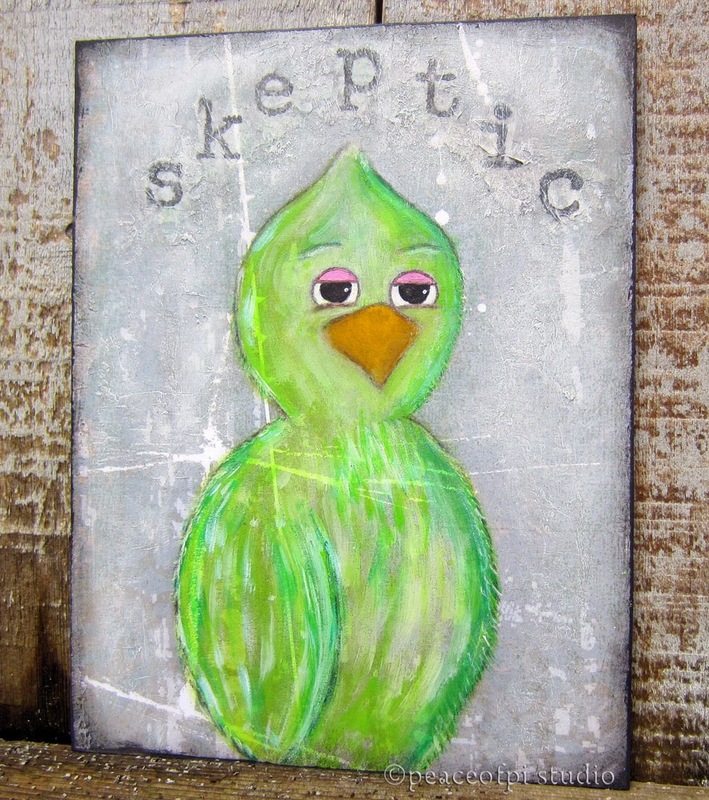 Skeptic Bird is a mixed media painting, part of a little bird told me series. Painted on a background of grey, the birds feathers are several shades of green, and his beak hints that he may be part of a parrot species. Looking for discernment and wisdom, the skeptic bird is listening and weighing all the facts.